We like to charge ahead with anything casino or gambling related after all it’s our business to bring you the very best. 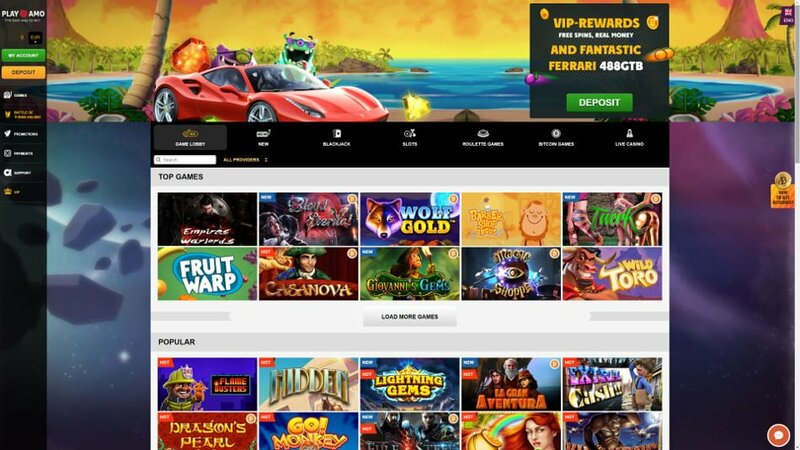 PlayAmo is another cracking Curacao-licensed Bitcoin casino that gives you the low down on a ton of slots, progressive jackpots, table games, promotions, sign on bonus packages to new depositors, comps, rebate on losses and an excellent retention program for VIP casino players. The operator belongs to SoftSwiss N.V casinos and has been in business since 2016. PlayAmo is powered by Net Entertainment, Microgaming, Softswiss, Evolution Gaming, Betsoft, Endorphina, Ezugi, iSoftBet plus a bunch of other vendors. Be aware of the rate at which you earn your points at the casino while you’re playing your favourite games, luckily earning a steady stream of comps is not a problem here. The games are fully compatible with mobile phones and tablets. There’s a small caveat though, players who use bank wires will be charged a small processing fee. Currencies accepted are USD, Bitcoin (BTV), Euros and British Pounds, Australian dollars, Canadian dollars, SEK, NOK and RUB. Signing up and playing at the casino is easy, accounts can be registered through Neteller, credit/debit cards, wire transfer or the virtual currency Bitcoin. Cash outs are handled within a few minutes up to 5 business days (depending on the banking method used). The weekly withdrawal limit is $£8,000 while the monthly cash out amount is $£25,000, VIPs and Bitcoin players can withdraw more. Restricted Countries: Israel, France, Spain, United Kingdom, U.S. When it comes to the operator’s bonuses it has a lot to brag about. Newbies can extend their bankrolls with a welcome bonus package of up to €/$300. The first match bonus is 100% up to €/$100 plus 200 free spins that can be used on Lucky Lady’s Clover slot while the second is 50% up to £$200 plus 50 free spins to play Lucky Blue slots. The free spins will be credited to your account 24 hours after you’ve made your first deposit. 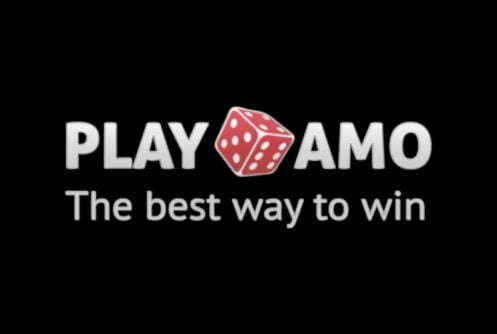 To qualify for the first bonus you must key in the code (‘FIRSTDEP) and deposit at least £$20 by visiting playamo here!. 1. The maximum amount of cash that can be won with the free spins bonus is £$50 and the play-through is 1x. 2. A cash out will only be granted once the bonus has been turned over 50x (50xb). 3. Bitcoin casino players do not qualify for a bonus. The casino’s VIP program is quite extensive, it starts with ‘Amateur’ right up to Godlike where a Ferrari 488 GTB is up for grabs as well! It goes without saying that to reach ‘Godlike’ status you must jump through a few hoops first. Every time you advance to the next VIP ladder your perks will increase. 1). Comp is awarded for every $12.5, 12.5 EUR, 15 CAD, 15 AUD, 700 RUB, 125 SEK, 125 NOK bets. 2). The comp points exchange rate is 1$, 1 EUR, 1,25 CAD, 1,25 AUD, 10 NOK, 10 SEK, 50 RUB for 100 CPs. In addition to the sign on bonuses regular players receive free spins bonuses and a high roller bonus of 50% up to $2,000 (terms and conditions apply). We’re often asked what makes PlayAmo different from the other Bitcoin casinos. We would say it’s not one thing, but several. The operator has a stocks more than 600 casino games that maintains a mix of visually appealing Betsoft 3D classics, live dealer casino, a healthy selection of blackjack, roulette, craps, baccarat, video poker, towering jackpots, and bingo players can pull up a seat at its state-of-the-art bingo hall. 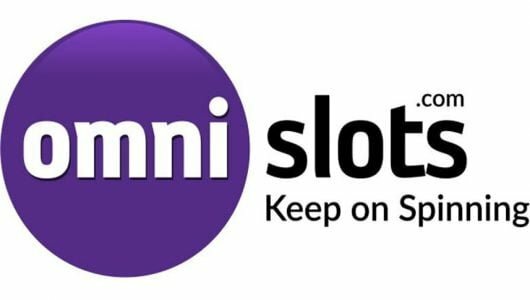 The majority of the games are online slots starting with Betsoft’s Fire & Steel, NetEnt’s Starburst, Guns N’ Roses, SoftSwiss’s Magic slot, Microgaming’s Jungle Jim El Dorado to Jurassic Park. Each slots is accompanied by pin-dropping audio, exquisite visual animations, bonus rounds (free spins, gamble game, pick me features), high return to player percentages (RTPs) and coin bet options. It’s in your best interest to play the game in the ‘Free Mode’ first; it gives you an idea how long it takes to trigger the free spins feature, which symbols pay the top cash prizes and how the game mechanics of the slots works at different bet levels. The table game variety is as good as any we’ve come across. Blackjack enthusiasts can play Double Exposure, Pontoon, Blackjack 21, 21 Burn Blackjack, American Blackjack and Blackjack Pro Atlantic City and single deck. Roulette is equally impressive, players can try their luck at Auto, American or European Roulette. We’re impressed with the live dealer casino! The amount covered here is good; you can test your skill against a plethora of live dealers be it live auto roulette, live blackjack or live VIP roulette. Bets are made in real-time, no random number generator is involved and all live games are streamed to your PC from a live studio via a webcam. Compared to slots, the game play is slow which gives you ample time to make the right bets. 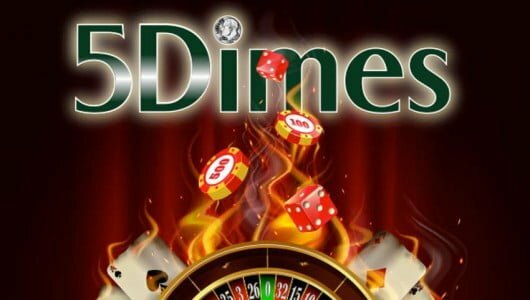 If you haven’t played a live dealer game before we strongly encourage you to do so, it’s an experience unlike you’ve ever had before: https://casinowhizz.com/site/pros-cons-live-dealer-casinos/. 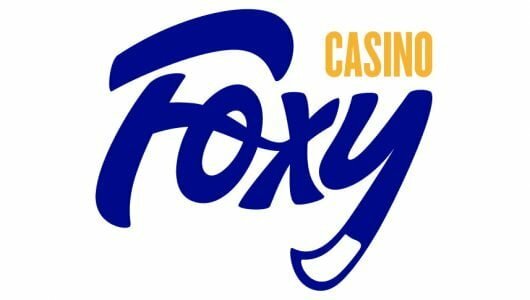 The remainder of the casino’s game tally is rounded off with specialty games such as keno, bingo, Bitcoin games, Microgaming progressive slots jackpots (Mega Moolah, Major Millions and King Cashalot) and video poker such as Joker Poker, Deuces Wild, Jacks or Better. Player support is on par with the course, it can be contacted through email ([email protected]), online form and live chat, unfortunately it does not have phone support. 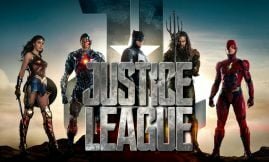 The chat function is a tad slow during the evenings because of the high player volume but picks up significantly during the morning and afternoon sessions. A Frequently Asked Questions section is there for newbies; it gives a brief overview on how to make a deposit, deposit and withdrawals, what to do in case you’ve lost your password, security, bonuses and so on. Players can control their own gaming sessions by using the daily, weekly or monthly limits on their bankrolls. If need be you can self-exclude yourself from the casino for a certain period to indefinite. A player’s private details is protected by the standard SSL encryption software which ensures that your financial and personal information is not breached. If you visit the casino’s help files you’ll notice that it displays some of the games’ theoretical return to player percentages (RTPs). That said, there’s no publicized consolidated list of RTPs, nor does it state which third party company audits the casino’s software. PlayAmo’s banking system is in line with that of the industry standard, players can deposit and play with Visa, Neteller, MasterCard, Comepay, Skrill or Bitcoin. Cash outs via fiat currencies are cleared within 24 hours up to 5 working days. If you use Bitcoin withdrawals are cleared within 20 minutes. The total amount of cash that non-VIP players can withdraw within a week is €8,000 and €25,000 per month. Large progressive jackpot wins have been excluded from this policy.